Raj Enterprises is pioneered in the field of furnishing specially designing curtains and fittings with innovative ideas. 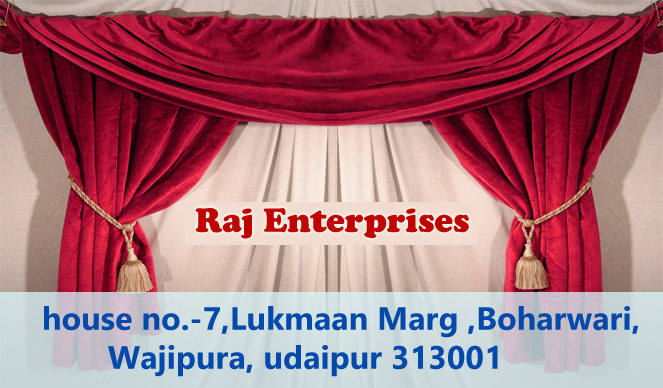 Raj Enterprises has a modern showroom in the heart of Udaipur city displaying a huge variety of curtains and furnishing fabrics of all verities. Raj Enterprises has successfully completed many Projects in designing and furnishing of residential houses, offices, hotels, hospitals, resorts etc. over the past decades.